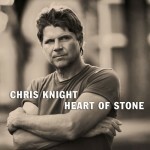 Having found himself artistically on 2001’s Pretty Good Guy singer-songwriter Chris Knight shook off the major label production of his 1998 self-titled debut and wallowed in his dark visions of rural life. His follow-ups, including a startling album of pre-debut auditions, The Trailer Tapes, have stuck to a similar format of rootsy guitar-based productions backing unblinking chronicles of blue collar America. Knight is often likened to Steve Earle, and the hopelessness in his songs brings to mind Earle’s Guitar Town-era work; but where Earle wrote of kids trapped by the stilted imaginations of limited experience, Knight writes of adults trapped by circumstance and situation. Earle’s protagonists sense there’s something better but don’t know what, while Knight’s are taunted by better lives that remain out of reach. This entry was posted on Friday, January 2nd, 2009 at 10:58 pm	and is filed under CD Review. You can follow any responses to this entry through the RSS 2.0 feed. Both comments and pings are currently closed.